Les Miserables at the Crown Theatre: Review | Where's Zoe now? I did actually buy a ticket and not sneak in. Which is a pity, because sneaking in would have made a better story for the blog. The short version of this review is: So! Much! Fun! If you’re in Perth and were wondering if you should get tickets, then this non musical theatre person says, do it. Well, I imagine tickets are sold out by now. But you should have done it. The singing and orchestra were very good, the set was cool, it was worth seeing just for the innkeeper’s wife. 100% serious, I would pay money to see a musical that’s just the innkeeper and his wife getting up to shenanigans. My biggest annoyance was that the woman playing Cosette simply couldn’t act. Which is awkward when she’s a central character. Of course, she’s not helped by the plot, which has her and Marius seeing each other for the first time and then 1 minute later singing a bunch of ridiculous songs about how in love they are. Unromantic grumps that we are, my friend B. and I giggled through that entire section. Can people really fall in love so fast? sings Cosette. Nah love, that’s just your hormones. And can I add: Poor Eponine. If, like I was until recently, you’re unfamiliar with the story: Eponine is in a love triangle with Marius and Cosette and apparently the only way for this to be resolved is for her to die. I mean, death is probably better than being stuck with that drip Marius, but still. Add to my musical theatre wishlist: a musical in which Eponine tells Marius to go jump in a lake and then goes on to lead the student rebellion to glorious victory. Again, 100% serious that I would pay money to see this. In summary, I would give this 5 stars if it were a completely different musical (get writing, musical theatre people!) and/or if Cosette could act well enough for me to care about her. So I guess 4 stars it is. 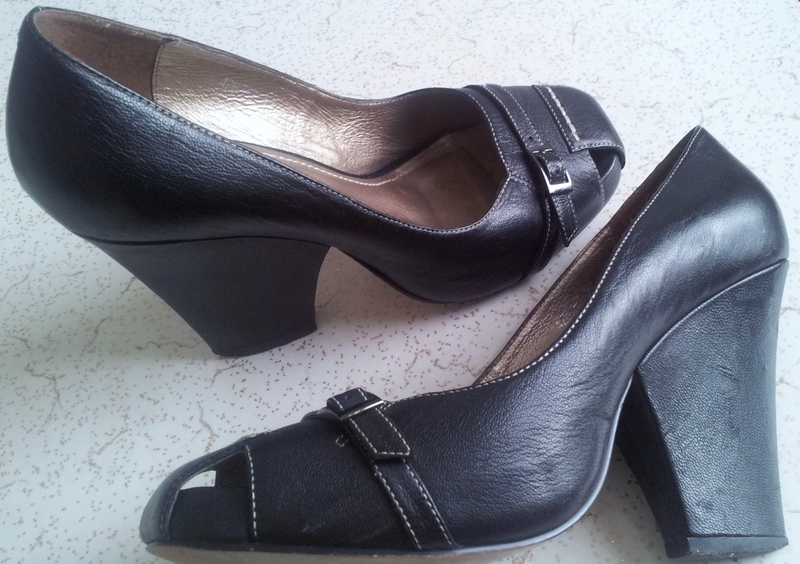 Finally, I promise I will never shoe-blog ever again, but I have to show these off. Going to the theatre gave me the chance to wear these for about the 3rd time in 3 years, but considering I got them for $10 from the opshop, the cost per wear is pretty decent. Much more walkable than you’d think. 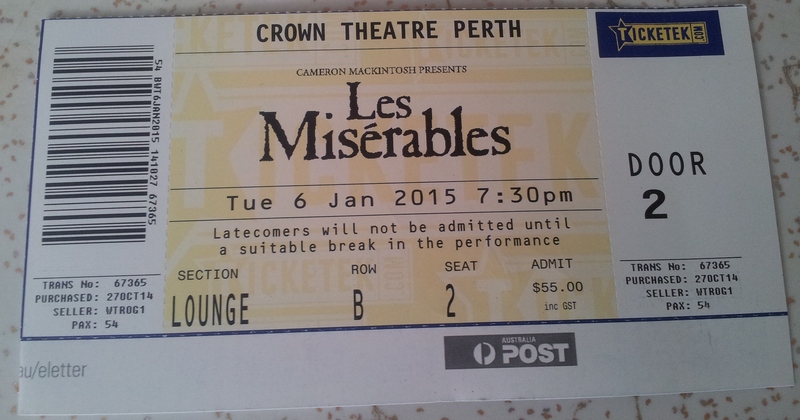 This entry was posted in Australia and tagged les miserables, musical, perth, review, shoes, theatre on January 11, 2015 by Where's Zoe Now?. Pingback: 12 100% fun, 100% self-improvement-free things to do in 2015 | Where's Zoe now?